The Greeks were united by a shared language, religion, and culture. c. 700 - 146 B.C.E. By around 500 B.C.E. “rule by the people,” or democracy, emerged in the city of Athens. Following the defeat of the Persian Empire, Greece (and Athens in particular) entered a golden age of art, literature, and philosophy. Explore ancient Greece as it evolved from small city-states to an empire spanning the Mediterranean world. 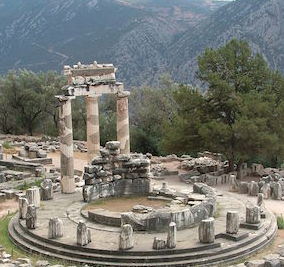 Learn about ancient Greek buildings and architectural styles, and how they wove into the everyday fabric of ancient life. Identify the classical orders—the architectural styles developed by the Greeks and Romans used to this day. 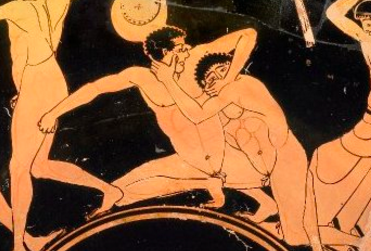 Running, wrestling, and boxing: like today, athletic victory would bring you fame and prestige in ancient Greece.